← Sexism in a bird map? 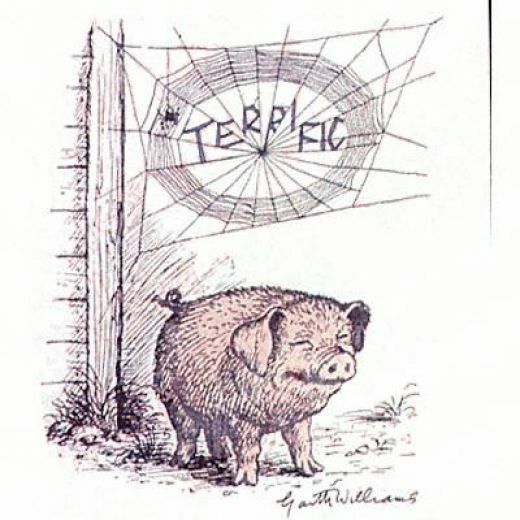 I am reading my four-year-old daughter Charlotte’s Web, by E.B. White. I had forgotten how great the book is–easily one of the best novels I’ve ever read. The first line: “‘Where’s Papa going with that axe?’ said Fern to her mother as they were setting the table for breakfast.” Seriously, I can’t think of a better hook. When I took it from the shelf last week, my daughter was hesitant to read what, a year or so ago, she had with odd prescience named “the bacon book.” I said, “I’m just going to read the first line.” I did. I love reading this book aloud because it’s so easy to read aloud. E.B. White did his work well. My daughter (“Fern”) quickly made a tent for Wilbur and Templeton (because, she informed me, they were going to kill Templeton, too). She said that Charlotte was “one of the savers.” Fern and Charlotte were saving Wilbur and Templeton. I can’t wait until bedtime, so I can remember what happens next. This entry was posted in Uncategorized and tagged being a mother, books, fiction, Interdisciplinary Aesthetics, listening to children, raising a woman, reading to children, writing. Bookmark the permalink.